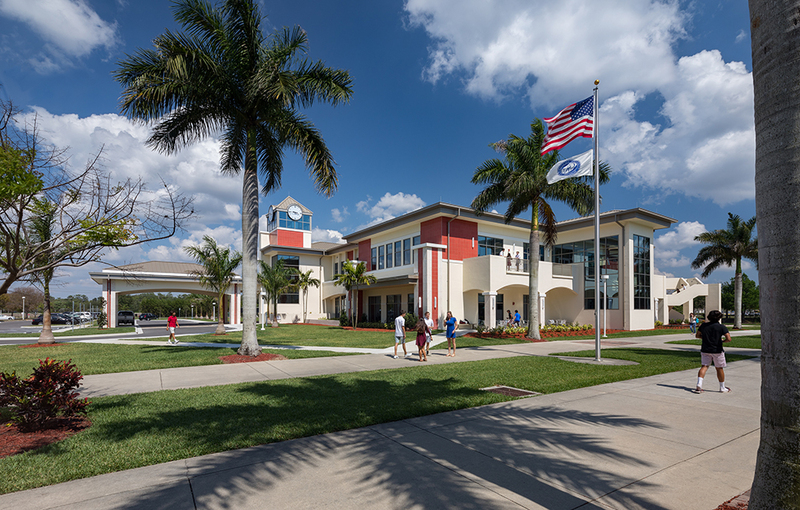 Community School of Naples is a highly-regarded pre-K-12 college preparatory school located in Naples, FL. 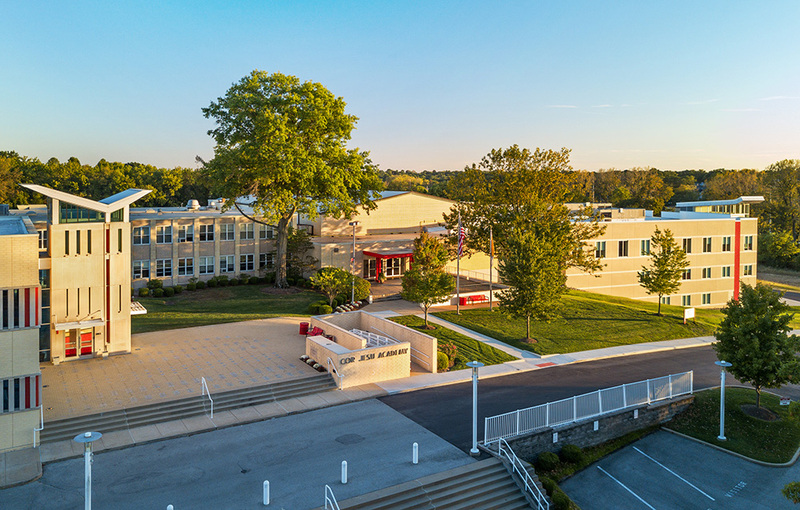 The school has worked with Hastings+Chivetta Architects on multiple projects over the last decade and a half, including an upper school humanities building, a new field house, an upper school center, a performing arts center concept, softball, baseball, soccer, track and practice fields, and a Middle School renovation. 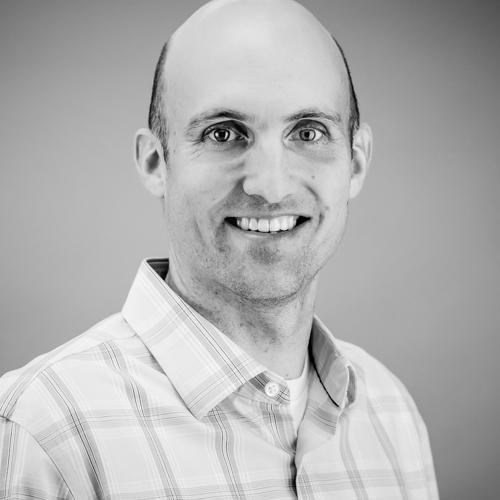 Hastings+Chivetta was recently hired by the school to update its current master plan, also developed by the firm, as well as design a new Student Activities Center. 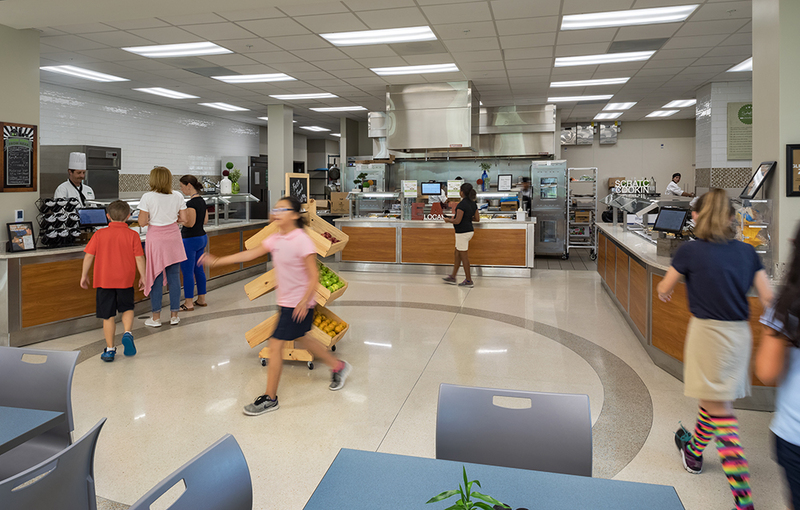 Planners and designers developed an overall space utilization plan, programmed spaces for future growth and strategically determined how the school’s property could be further developed. 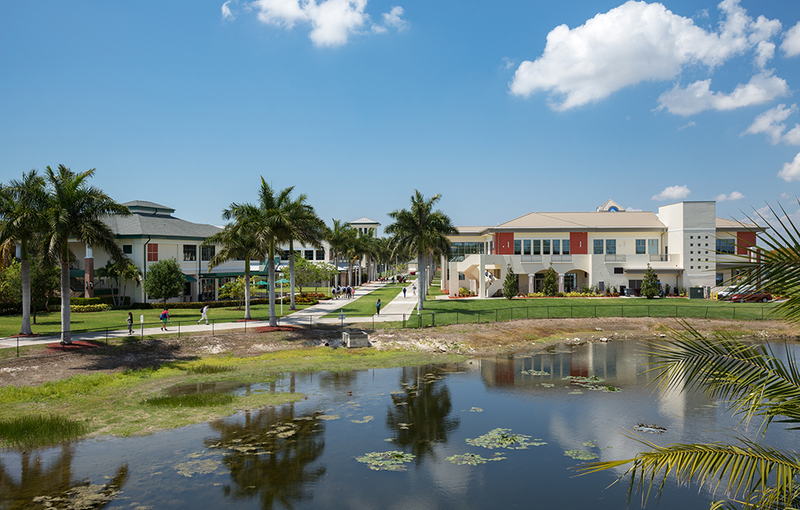 The resulting master plan is a dynamic outline for the physical growth of the campus. The new Student Activities Center serves as the new center of campus life and provides a flexible academic learning environment with two floors of innovative teaching spaces, modern study facilities and numerous collaboration areas for studying and social gathering, as well as a main dining room. Colorful and comfortable seating fill the space. 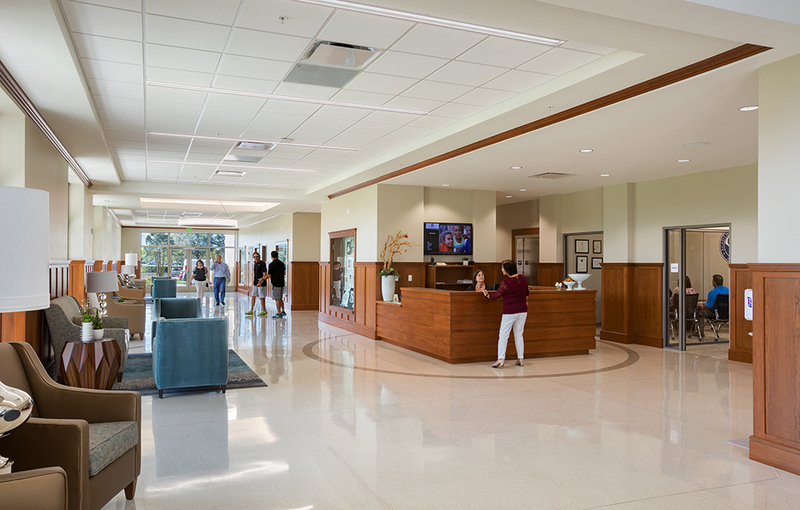 The Center is a beautiful gateway to the campus as guests enter through the porte cochère into an expansive lobby and welcoming Admissions suite. 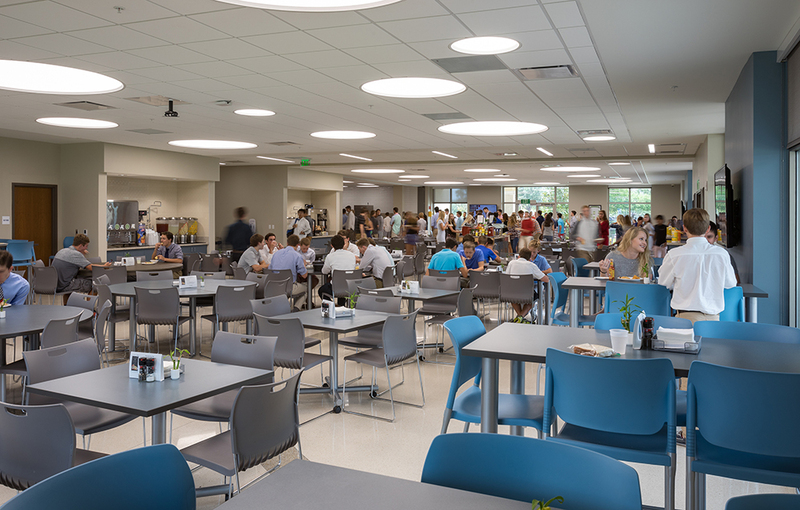 Students can enjoy healthy dining options at the full-service bistro and kitchen where there is ample indoor seating as well as patio seating. 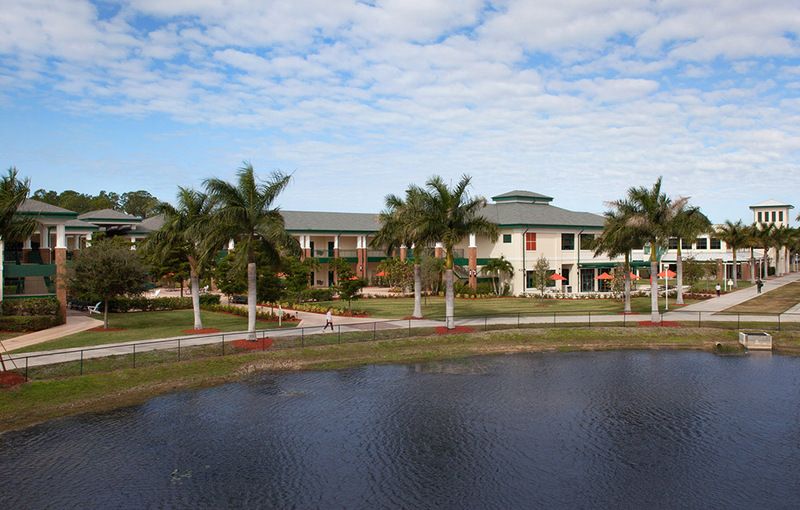 A covered loggia allows students and faculty to take in the warm Florida climate. The second floor of the building has a student activity center, lecture hall, leadership center, classrooms, offices and conference rooms. 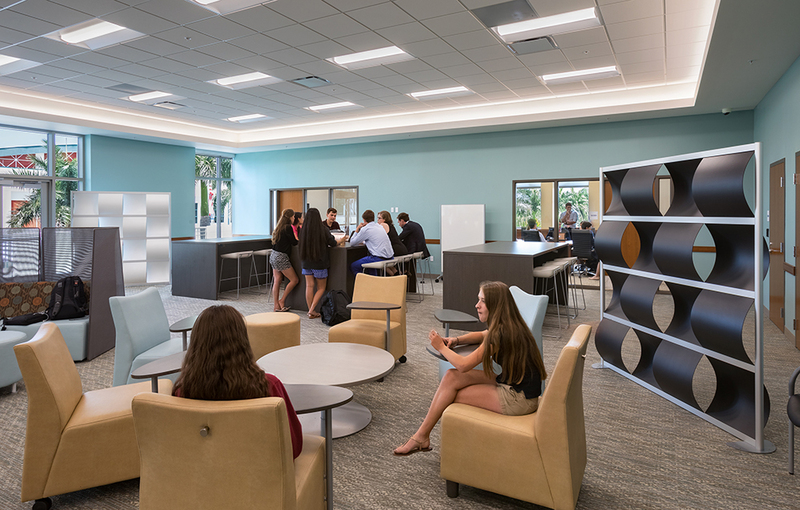 A gallery separates the administrative offices from the learning and activity spaces. A balcony overlooks the school’s sprawling grounds. 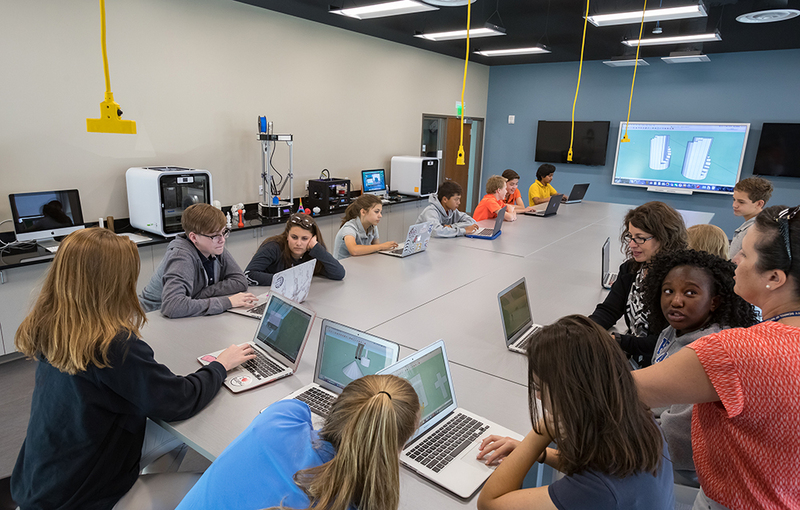 The Center also includes state-of-the-art maker spaces which create a connected and interactive learning experience. Students can create, explore and experiment with various projects that are interdisciplinary, hands-on and collaborative. 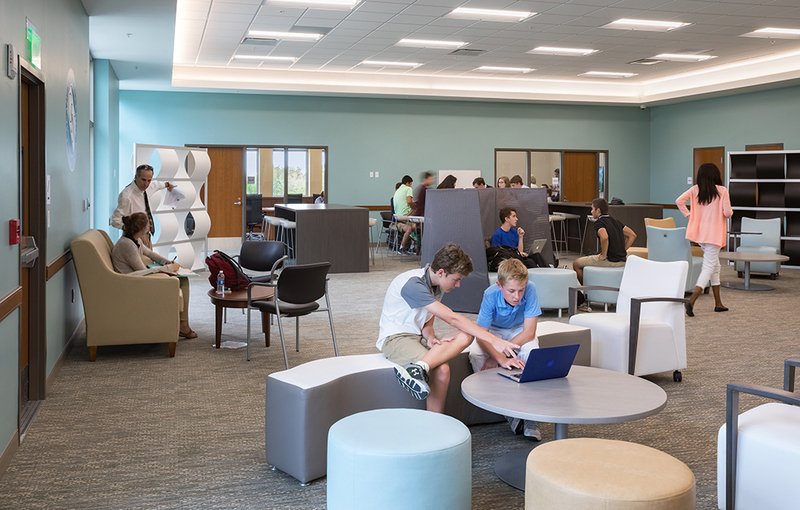 Collaboration areas offer opportunities to work with others to create ideas and solve problems in a way the typical classroom environment cannot. The second phase of the project will be the addition of a new Performing Arts Center, also designed by Hastings+Chivetta. The Center will include a 430-seat theater, rehearsal and performance spaces and dressing rooms. Ample storage is planned for costumes, props and sets. The lobby contains a box office, concessions and a control room.